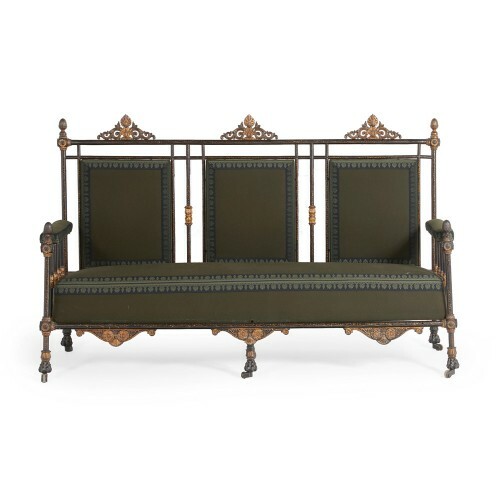 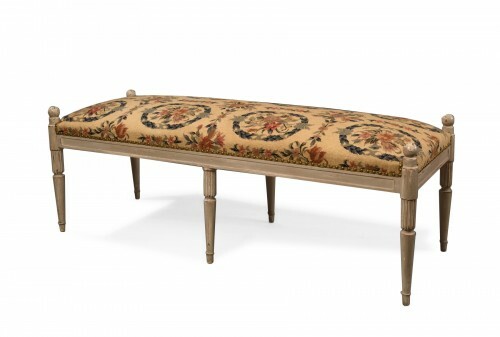 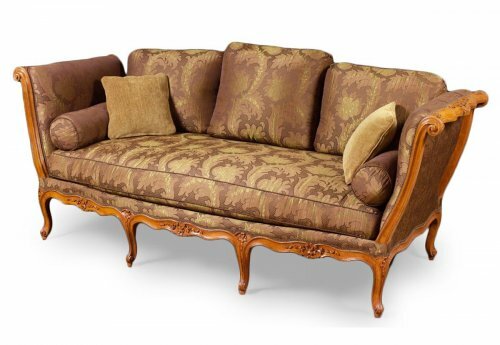 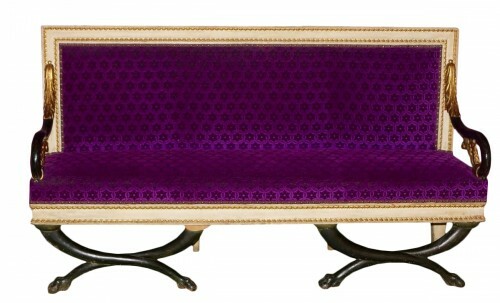 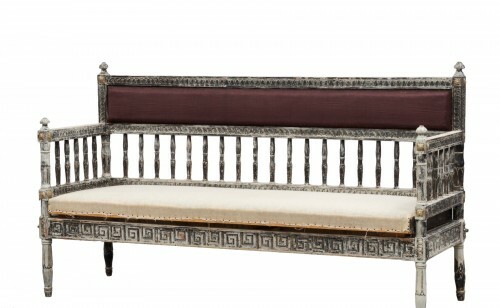 Lacquered iron rectangular bench with gilded decoration on black scrolling foliage. 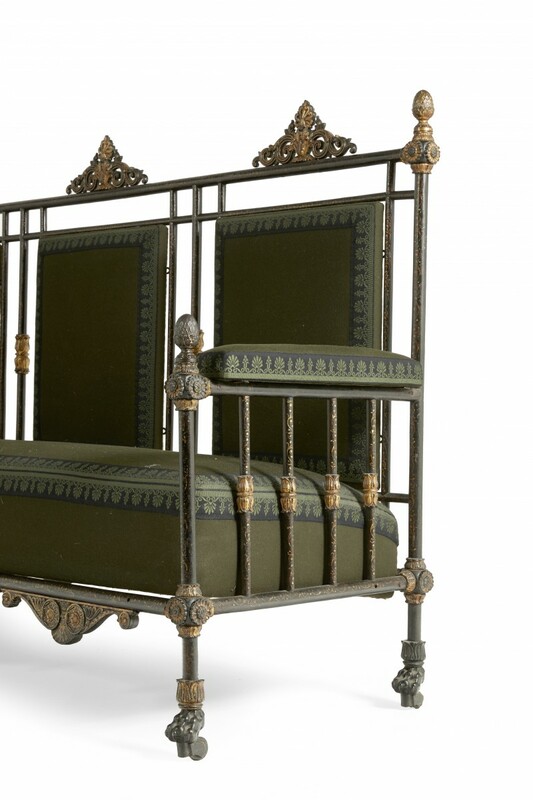 Back partly open with foliage and palmeto with similar decor on the lower seat. 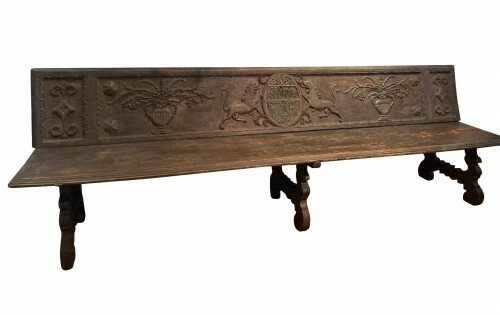 It rests on legs ending in claws and wheels. 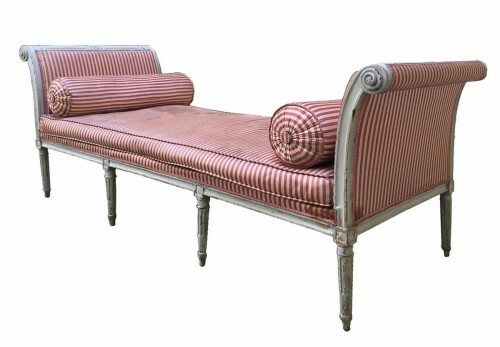 Green felt lining frame applied stripes.